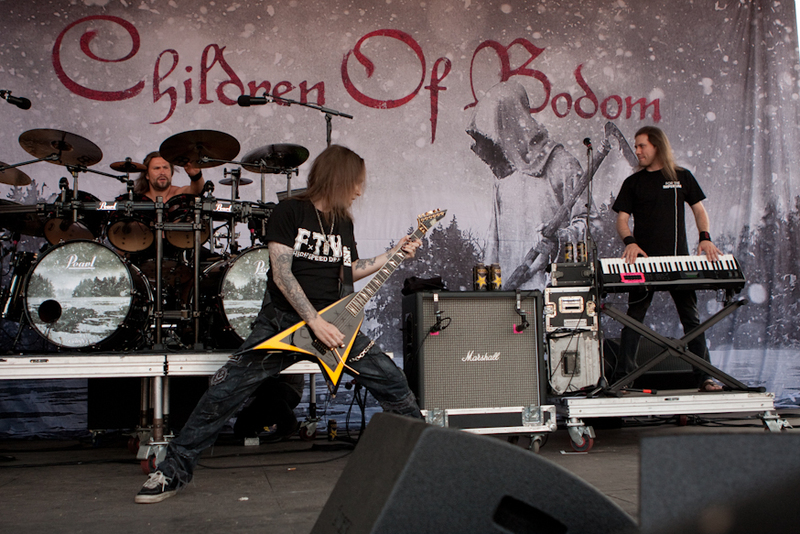 Children of Bodom is an extreme metal band made of rockers Alexi Laiho (guitars & vocals), Jaska Raatikainen (drums), Henkka Seppälä (bass), Janne Wirman (keyboards) and Daniel Freyberg (guitars). They just released a new video for the track, “Grass and Clover” a song that moves fast on guitar, vocals, and drums. With thousands of page views already on youtube, fans from Nicaragua, Bulgaria, South Korea and the world over are thrilled about the song and new album, Hexed which comes out March 8, 2019 via Nuclear Blast Records. Children of Bodom formed in 1993 by lifelong friends, Laiho (guitar/vocals) and Raatikainen (drums) the band was originally formed under the name Inearthed. Currently, they just wrapped a lengthy Finnish tour this past October/November. The tour was titled, ”No Place Like Home” with a different set each night. The band’s debut album Something Wild in 1997 and then released their second album, Hatebreeder in 1999. Their third album, Follow the Reaper came out the following year. In 2003, they were named Finnish Band of the Year at the Finnish Music Awards after they released Hate Crew Deathroll. In 2005, they released Are you Dead Yet? but touring was cut short when Laiho injured his shoulder, which forced the band to take a break as he recovered. They kept producing new material and came out with Blooddrunk in 2008, followed by Relentless, Reckless Forever in 2011 and Halo of Blood in 2013. The band also joined Rob Zombie, Amon Amarth and Mastdon at the Mayhem Festival.In April 2015, the band announced a new album called I Worship Chaos. Pre-order the new album Hexed here. Fans all over the world can add this to their Christmas wish list.